When that happens to me, I usually use various technics to raise my vibration quickly… prayers, mantras, meditation (see “Can you be happy in life? Looking for guidance…“), and other technics like EFT/tapping, ho’oponopono, etc. (I shall address these in a later blog post). Another quick way to raise my energy level on the spot is to listen to upbeat music. Here is my selection for today: 5 upbeat songs from the 80’s. Which is YOUR favourite song from this selection? And would you suggest other upbeat songs from the 80’s that you like? Please share your answers in the comment section below. So? Which is YOUR favorite from these 5? And would you suggest other upbeat songs from the ’80s that you like? Please share your answers in the comment section below. Such a great choice for the best music to keep you upbeat at all time! 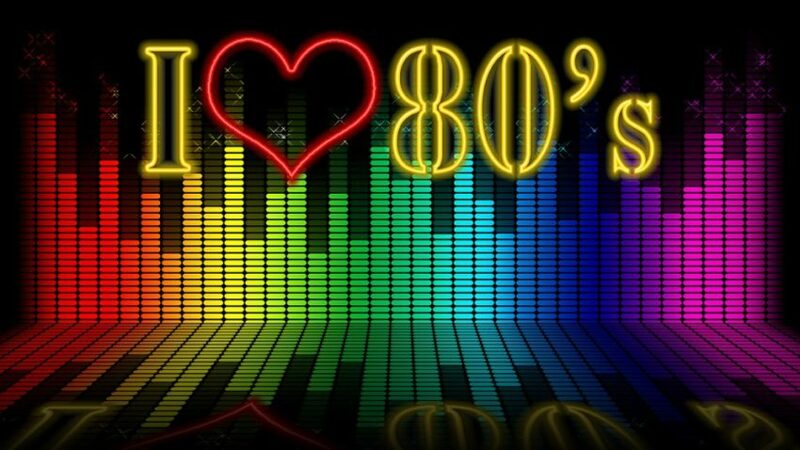 What better than the 80’s where the music was all time upbeat! I grew up in Eastern Europe under a gruesome dictatorial regime where no one would have been allowed to look over the border and listen only the provided scenario. What a fake world! However there was the 80’s Music that we listen on the radio form neighboring countries radio channels, and TV station also from neighboring countries. I remember the Sundays when for an hour on one of the TV channels it was only music of the day … an awesome up to date news from music. And of course half of it was about the 80’s music. Even today I have goose bumps … reason why I have my SIRIUS satellite Radio subscription … with an amazing choice and selection for various type of music and various genre … of course 80’s music as well. I am more tempted for the rock side of the genre, however, from your selection I still got upbeat by “Katrina & The Waves – Walking On Sunshine” or your proposition of “The Bangles – Walk like an Egyptian”. Also I would listen “Cindy Lauper – Girls just want to have fun!” or “Whitney Huston – I wanna dance with somebody”. Let not forget about the Michael Jackson hits and I think we could chat on it for hours! These hits are really something that you need when you are beat down, and in search for something to wipe off the tears and the sadness. I commend for your choice for the topic. Such an interesting and energizing subject to share and to enjoy. Yeah, the 80’s are definitely filled with meaningful songs that appeal to your senses. McFerrin’s Dont Worry Be Happy is a soul lifting song that vibrates through your spines as it resonates and will definitely take away your sorrows. What about Majek Fashek’s Send Down The Rain and Bob Marley. The songs are food for the soul to stay healthy and happy. Thanks a lot for taking the time to leave your comment here. And thank you for your words of appreciation too! Your preferred songs are in French? Why is that? I am French myself but I do not know the songs you mentioned so I went to Youtube and found them. I see they are from the 70’s. Here they are for you! 🙂 Enjoy! You are so right, music helps in all kind of situations. It quitens down any tension, fear and or sadness you might have. I was 20 to 30 years old in those days and indeed loved music. From the 5 you mention I stay, as first choice ,with Do not worry be happy and my second choice would be Walking on Sunshine. Thank you for this uplifting and musical post which I really enjoyed. What a feeling. They always chirped me up when I was feeling down. Out of the music you chose my favorite is Wake me up before you go go. The music of the 80’s is special to me as I ran aerobic classes during the 80’s and into the 90’s and I used a lot of that music and hearing it now bring back those days of fun and laughter. Wow! You ran aerobic classes in the 80’s?! Great!! Yes, I can imagine that you would have a lot of memories of fun of laughter when listening to music of the 80’s! I’m curious… What would be 5 of your favorite upbeat songs of the 90’s? I’m preparing a post about this… which ones would you choose? Nice choices. I actually made a playlist a few years ago to get me pumped each time I was feeling down. And it turned out it was working. In the list I’ve made, I have 2 of the songs you mentioned in this article: Don’t Worry Be Happy, and Walking On Sunshine. The other three songs are great too! It could be a good add to my selection. I really like ‘Walk Like An Egyptian’. Thanks for sharing your experience. Thanks a lot for taking the time to leave your comment here and for your kind words. I’m curious… which other songs did you have on your playlist? Any song from my second article on the subject (https://nathalieu.com/how-to-feel-better-fast-more-greatest-hits-of-the-80s/)? Would you mind share your list with me? I like Bobby McFerrin very much and his song is super! Don’t worry and be happy, that’s definitely bring Vibration to our soul, Thanks for your list, enlighten my day with the few songs and bring back sweet memory during my young days,lol. Maybe you may provide more light and easy songs in the future? That would be nice. Cheers! What do you mean by more light and easy songs? Can you give me an example? There is one album that I go to if I ever need joy that always lifts my spirits… every, single TIME. Who among you has ever listened to the whole album, from beginning to end, that’s by Earth, Wind & Fire called “I Am”?! There are so many songs on this release that reflect such absolute, bubbling-over happiness, I really don’t know that it has a rival. My favorite pick-me-ups on it? If you’ve never treated yourself to a half hour with this record, do yourself a favor… stop, listen, and smile, smile, smile!! Thank you for taking the time to share all this with us! Well… I got to say… you’re doing a great job at making me curious about Earth, Wind & Fire’s album “I am”. I did not realise they were from the 80’s… I’m going to go to Youtube to see if I can find the songs you mention. 🙂 Thanks a lot for the suggestion! Man! I can totally feel where your coming from with this blog. I to am a child of the 80’s and every time a song comes on the radio from that era, I just have to smile. The memories that music brings back is such a comfort to me no matter what is happening in my life. Although, walking around all day with Walk Like an Egyptian stuck in my head can be a bit bothersome. Some of my favorites were Girls Just Wanna Have Fun, Love Shack, I love Rock & Roll and Another One Bites the Dust. I think to this day, Another Bites the Dust will always be my favorite song. Most of the music from this era makes little sense to me. I am curious about what favorite songs other children of the 80’s have and I am looking forward to checking back on the comments and seeing what everyone’s favorites were. Thank you for taking the time to leave your comment here, Kelly. So you’re a child of the 80’s too? Nice! Oh yes! Girls Just Wanna Have Fun, Love Shack, I love Rock & Roll and Another One Bites the Dust are great too!! Hi Nathalieu, I love the song from Katrina & The Waves’ – Walking On Sunshine. However, I have not heard other songs yet. I am going to listen those songs soon. I believe I am going to realize some feelings of my life. I have same opinion about music which really helps to keep peace in my mind. Thanks for sharing another wonderful post. It’s so nice to read your comments on my various posts! Thank you! It sounds like we were around the same age in the 80s! I, too, have a great love for music of the 80s and when I feel down, I love to listen to that music, too! From the list of songs you love, I them all, but if I had to pick just one, I would say “Wake Me Up Before You Go-Go” by Wham! I also like a lot of music by the late Prince. He was a Minnesota native like me and I grew up listening to his music. What do you suppose it is about the music from this era that inspires and makes people happy? I have friends who grew up even in later decades and they still love the 80s music! There is just something about it, isn’t there? Thanks a lot for taking the time to share your comment here, Karin. Oh yes! Wham!! 🙂 And Prince was great too!! That’s a good question you ask: “what is it about the music from this era that inspires and makes people happy?” I’m not sure… what do YOU think? Thank you very much for taking the time to leave your comment here, Jake. Nice that you have started hearing Queen songs again with that new movie coming out. This was a throwback – I remember being taken to watch Dead or Alive at a gig in Liverpool when I was about nine years old – my very first experience with live music. My cousin was 5 years older than me and a proper 80’s girl – so she was the one who took me! Off the top of my head – I also remember going to see a Norwegian band named A-HA back in Wales as a kid – do you remember them in the 80’s? Thank you for taking the time to leave your comment here, Chris. Wow! Your very first experience with live music was to watch Dead or Alive at a gig in Liverpool when you were about 9! How lucky is that! Great beginnings! I enjoyed reading your article, it’s good to know 80’s songs can be good to help us to raise our vibration. Thanks so much for sharing a good article to read today. I’m glad to hear that you enjoyed reading my article. Thanks for sharing this post! As someone who loves practicing yoga, I always turn to my yoga practice and a lot more mediation when I need some energy boost but I’m with you that I still love some upbeat music to get me on the mood. From the list, for sure my favorite will be Wake Me Up Before You Go Go – it’s such a classic! I also love Queen’s music – you can check out some of their songs too like Another One Bites The Dust. Most of their songs are very good! Anyway, thanks for sharing this again! Yes, indeed, I am French! 🙂 It’s great to hear that you are learning French. How are you doing this? Do you go to a class or are you learning online? Hello and thank you so much for this amazing article. I really enjoyed reading it. I must say I have talent for music and I am quite the music addict. 🙂 Some people start their day with a coffee, cigarette or a book – I start mine with music. These songs you recommended are all right on spot. I’ve already familiar with them and when I saw “You spin me round” music video I had to play it. It is just so energy boosting and so uplifting it is just incredible. I would also add “Bohemian Rhapsody” from Queen as another great one from that era. I always sing that one in the shower. What is your favorite from your list? I will bookmark your website. Great to hear that you have talent for music! So you call yourself a music addict?! I can so relate to that! Better than any other stimulant for me too! So, I’m curious… which song/music do YOU start your day with? Hey Nathalie! How are you doing today? I’ve enjoyed reading this article as its interesting, fun and informative. I’ve been listening to Wham! for quite sometime but I would like to download the other songs as well. These songs provide you with good vibes and feelings. From my perspective, I tend to think that the songs recorded in the 80’s are much better than today’s songs. I’m doing great, thank you for asking!! I’m glad to hear that you enjoyed reading my article and that you find it interesting, fun and informative. So, you’ve been listening to Wham for quite some time? I’m curious… which is YOUR favorite Wham song? And did you also follow George Michael when he went solo? Thank you so much for sharing these with me! I am planning to write another post with my readers’ suggestions. 🙂 Stay tuned. I totally agree with you and I do the same when life hits hard. Are you feeling any better now ? Wham !, from your list, is among my favorite bands of all time, and I like the song “Everything she wants” as well. “Forget me Nots” – Patrice Rushen, with a great bass line ! And many, many, many more ! I absolutely loved the 80s !!! Yoohoo!! Plenty of upbeat songs! Thank you, dear Véronique!! Are all of these really from the 80’s?